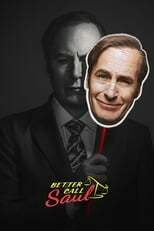 Where can you stream Better Call Saul? On 2015-02-08 Comedy/Crime TV Series Better Call Saul first aired on AMC. Written and created by Vince Gilligan & Peter Gould, and produced by Sony Pictures Television & American Movie Classics (AMC), Better Call Saul will return and was last broadcasted on 2018-10-08.